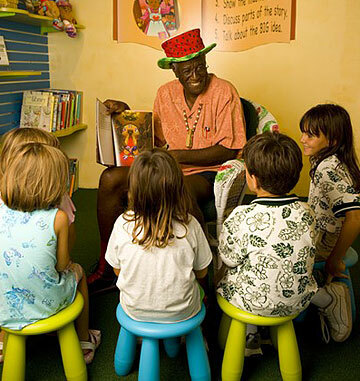 Wally Amos reads to children at his shop. Cookie maker Wally Amos will read aloud from his children's books, while serving samples of fresh-baked cookies, from 2 to 3 p.m. Saturdays through Jan. 20 at his Kailua Chip & Cookie store. The "Wally Amos Reads to Kids" sessions are free and take place in a reading corner furnished with kid-size furniture and beach towels. The corner's collection of books may be browsed by families during story hours, 10 a.m. to 8 p.m. Sundays through Thursdays, and 10 a.m. to 9 p.m. Friday and Saturday. Amos, who has participated in national literacy programs for three decades, hosts a weekly read-aloud program, "Keiki Corner," Saturday and Sunday mornings on KHET/PBS. Chip & Cookie is located at 609 Kailua Road. Call 261-1811. A Vegan Macrobiotic Community Dinner will be held from 6 to 7:30 p.m. next Wednesday at Church of the Crossroads, 1212 University Ave.
Eat-in or take-out meals will include Brown Rice with Buckwheat, Winter Sweet Vegetable Soup, Greens with Tangerine Vinaigrette, Zesty Arame and Tofu Quiche. Cost is $12. Dessert of Coconut Date cake with Japanese twig tea will be available for additional cost. Call Leslie, 398-2695 or e-mail macrobiotichawaii@hotmail.com, www.macrobiotichawaii.bravehost.com. 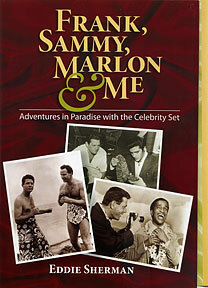 Eddie Sherman signs his new book, "Frank, Sammy, Marlon & Me: Adventures in Paradise with the Celebrity Set" (Watermark Publishing, $22.95) at noon Saturday at Pearl Harbor Naval Exchange and 12:30 p.m. Dec. 21 at Bestsellers Downtown. Call 587-7766. Sherman is a former Advertiser and MidWeek columnist. His book hits stores next Wednesday.